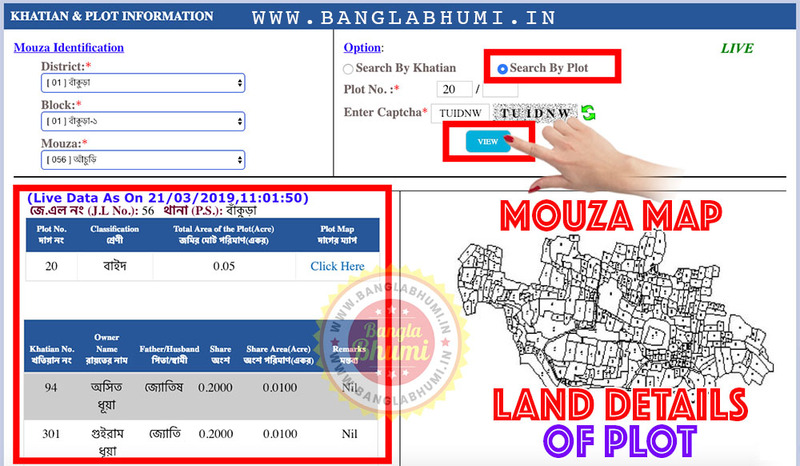 For know your Land Records at West Bengal Land Records official website Click this link and check your land information. 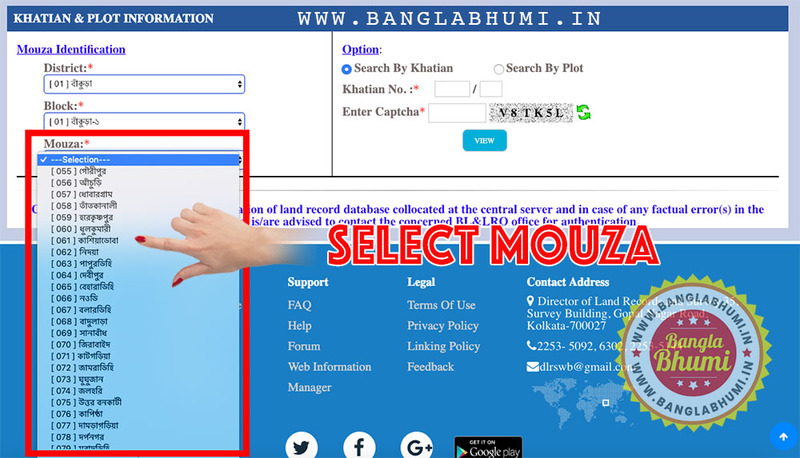 Step : 1 - Open BanglarBhumi Website and Click " Know Your Property "
Step : 2 - Select options in Mouza Identification. Your District, Your Block and Your Mouza. 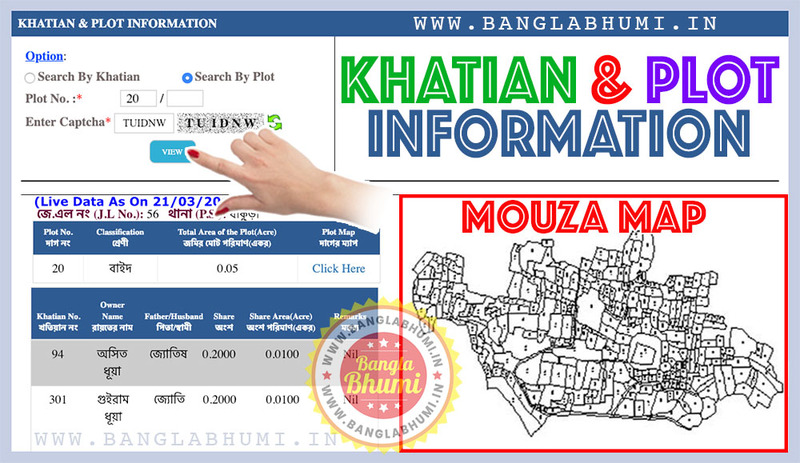 Step : 3 - Select your " District Name "
Step : 4 - Select your " Block Name "
Step : 5 - Select your " Mouza name "
Step : 6 - For Khatian Click on " Search By Khatian "
Step : 8 - For Plot click on " Search by Plot" and fill Plot No. and Submit.